A New Leaf: Purposeful Parenting: how much is this going to cost? 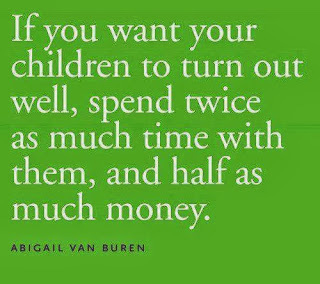 Purposeful Parenting: how much is this going to cost? 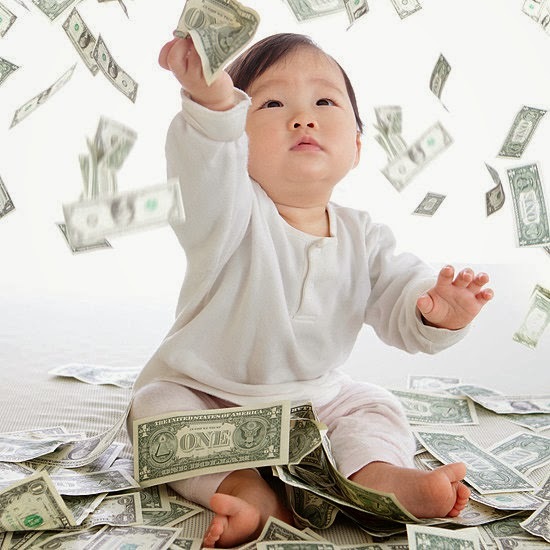 The second I knew I was pregnant, dollar signs began flashing in my head. Not only did not my debt-free dream die in that moment (for the time being anyway), I knew this was going to cost big bucks. First things first: familiarize yourself with your health insurance. Don't have health insurance? Now that you're pregnant, you qualify for Medicaid. Whatever you do, be sure you end up with some health insurance, either Medicaid or otherwise, as soon as possible. My health insurance included a $1,000 deductible and copays and co-insurance. All told, we spent quite a few thousand just on healthcare costs throughout the pregnancy and after. What do we need for the baby? How much will all of that cost? Thankfully, we are frugal by nature. We spent time and money buying what we needed from craigslist.com and garage sales. The rest was filled in by relatives with hand-me-downs and Christmas gifts. If you opt for a baby shower, you can fill in the rest there. Our biggest expense was cloth diapers. It was a big expense in the beginning, but to date (as of this writing, Bug is just about 7 months old), we've spent less than $100 on diapers. We use paper at night and when we leave the house (most of the time anyway), and we use cloth the rest of the time. Decide how long you and your partner will take off work and know this may change. Jason actually chose to take off more time from work than I imagined - he took two weeks when I originally thought one week (at the time, he was working part-time). Two weeks was fantastic, though, and it was definitely the right decision! Go hubby! I originally planned to take eight weeks off from work, and I only took seven. One huge factor that played a part in that was I originally thought my employer would keep paying the employer part of my health insurance. During my maternity leave, I found out that was not case and I would have to pay all of it. That motivated me to return to work that much faster as our maternity/paternity leave costs were much higher than I anticipated due to this. The easiest way to determine your maternity/paternity leave costs is to figure out how much you spend in living expenses. Be sure to include the obvious items, like rent, water, cell phone bill and electricity. Be sure to include some budget line items you might not normally include, like a newborn photo session, items your baby might need/want that you hadn't thought of before the birth, extra money for gas to visit relatives with the new baby in tow and so on. Planning, financially speaking, for our leaves from work really helped us bond with Bug all the better because finances weren't really a concern. We knew we had several thousand in the bank to cover our living expenses and medical bills. It felt so good to pay all the medical bills as they came in! We were able to maintain our sanity and our normal lifestyle due to our diligence of planning and saving. It wasn't easy, but I truly believe this made all the difference in bonding with Bug those first few weeks. Lastly, I just have to mention that all those reports that indicate it costs $250,000 to raise a child from infancy are just crazy. I'm sure you could easily spend that much. But you really don't have to to raise a beautiful, intelligent, creative, God-loving little one. Bug wears hand-me-downs. She's also a very well dressed baby! People are shocked when they comment on her adorable outfit and I respond with, "Thanks! I got it at a garage sale." 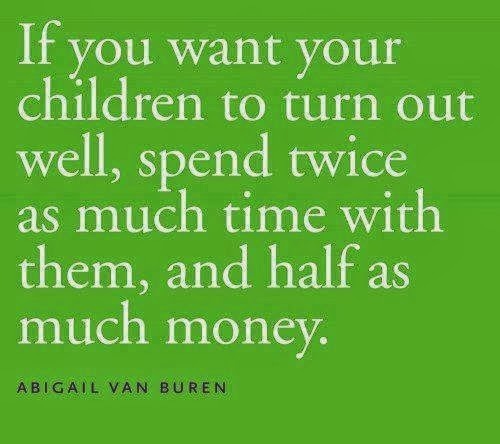 You can be frugal and have children. Your child will likely grow up a better person because of it. Your children really only desire your love. The greatest and best toy you could ever give them is yourself.